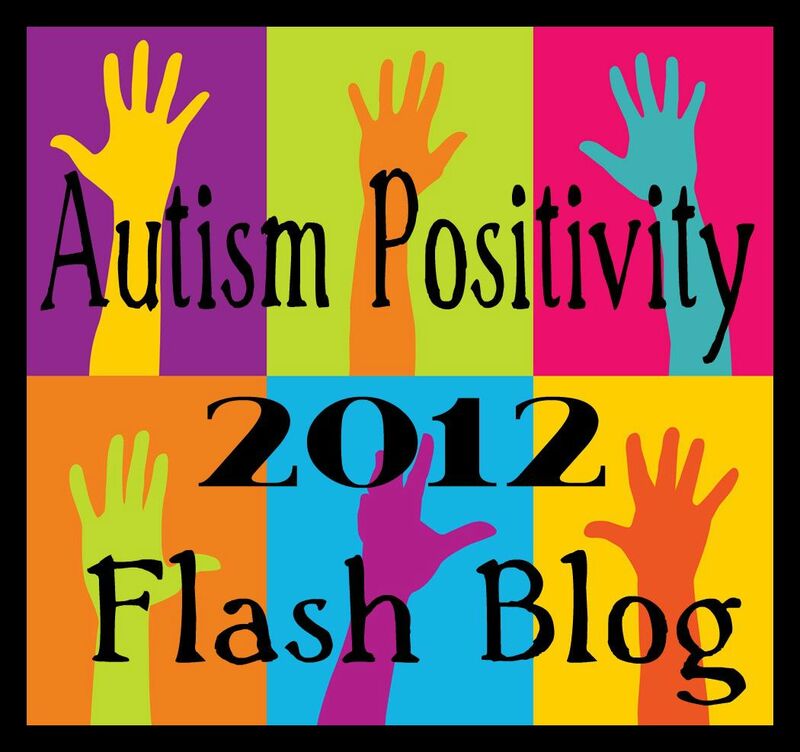 Organization is a must for any kid with Asperger’s and ADHD. This has been a huge struggle over the years with many missing assignments. It kills me when I actually win the battle of homework and then it doesn’t get turned in. He has an IEP but the most helpful thing is to keep him organized! Every child is different but here is the method we have perfected over the years. 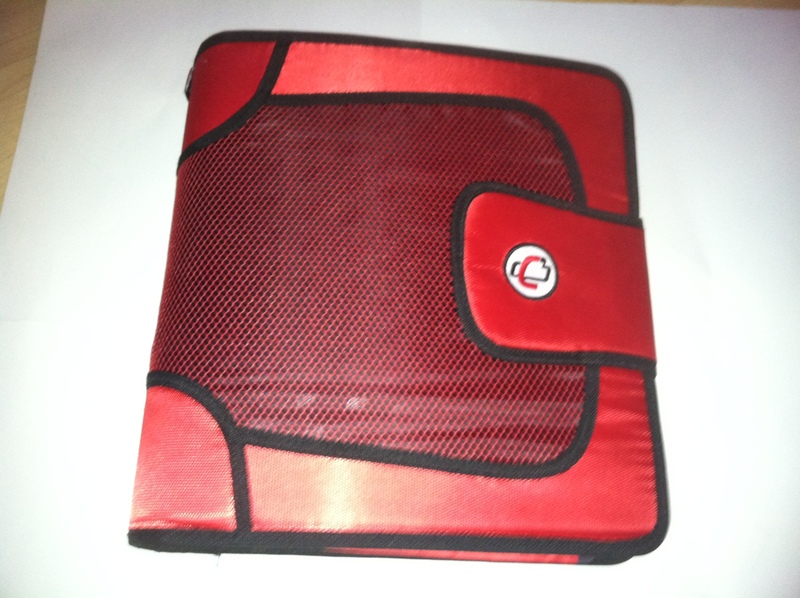 Below is the Caseid binder in red that I have to search high and low for every year. He likes to use the same one every year because he can recognize it from across the room as his. Plus we all know they hate change! 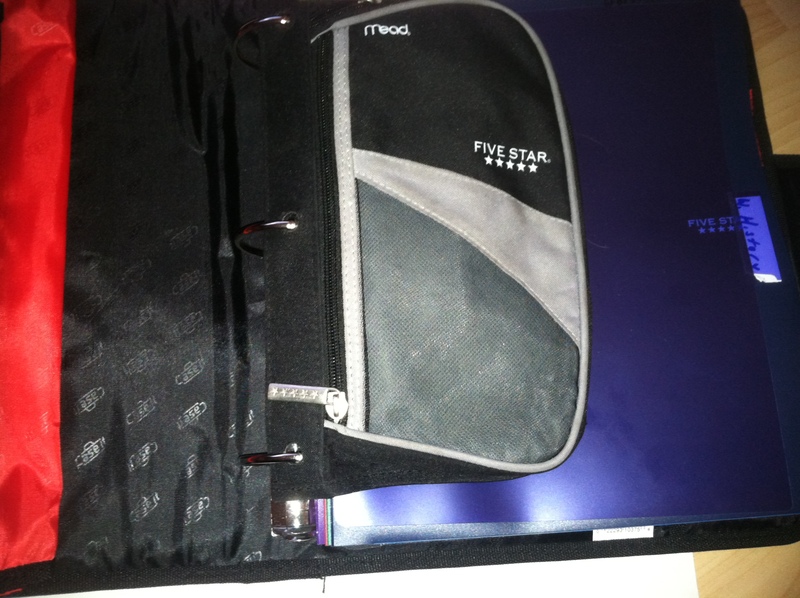 Inside the binder there is a folder for each subject. I use the extra sturdy plastic ones that can be found at Marc’s or Staples. Since he is extra rough on his stuff. Each subject is separated by dividers labeled with the name of the subject so he doesn’t get confused. Inside the folder are any assignments he is working on in class or needs to keep. 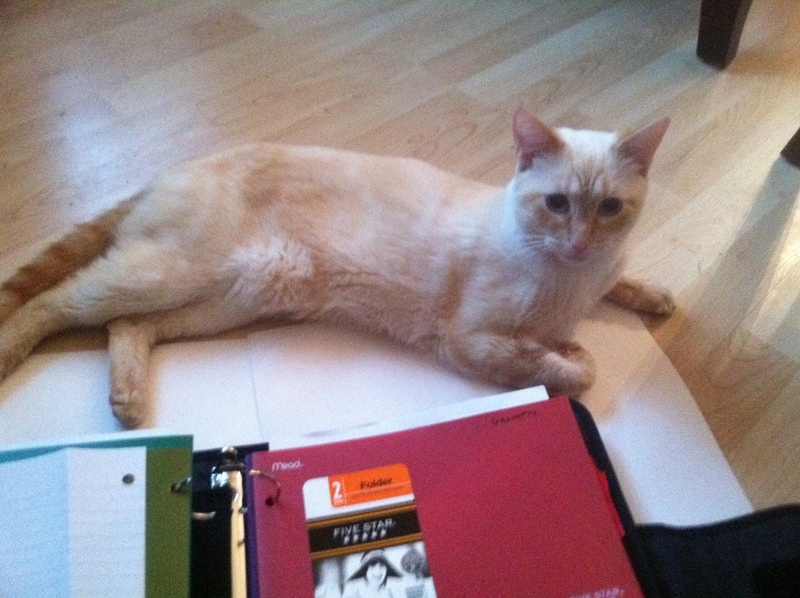 He also places any homework assignments to bring home in the folder. He doesn’t like to use the assignment notebook so when possible he starts the notebook paper for book work and writes the assignment across the top. At home we have an extra set of books, calculator, and any other school supplies he may need. Then once any homework is completed it is placed in between the divider and folder. (picture on bottom, above). Basically we keep everything in one binder and in his face so he doesn’t forget anything! 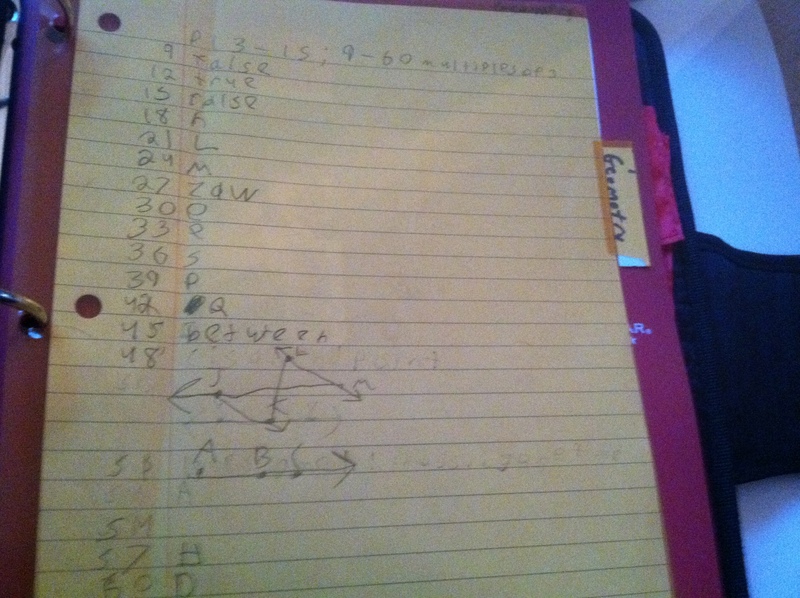 However I go through the binder every night and play detective to make sure he doesn’t forget anything. Also we keep a folder in the back with loose leaf paper so he always has paper. 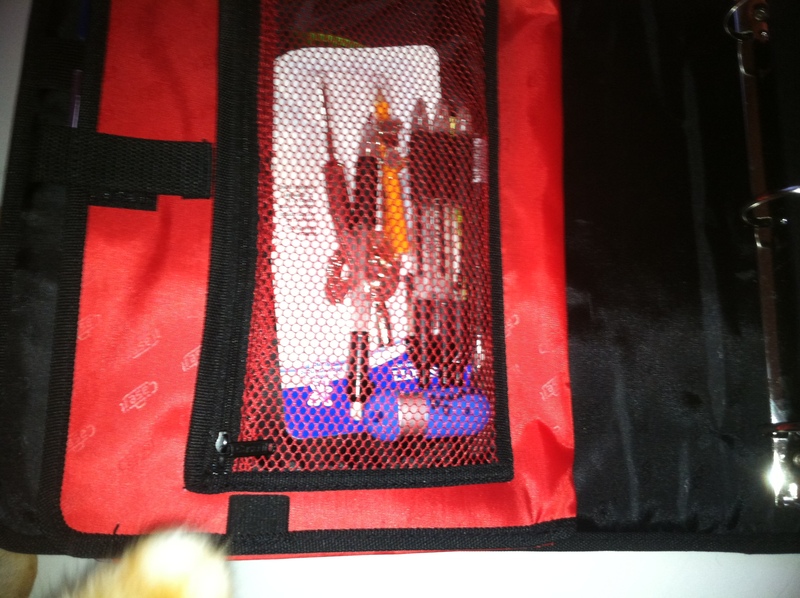 Then all of his supplies are kept in the front of the binder. The compartment in the bottom picture below are his calculators for Geometry. I also keep an eye on the supplies but he has been getting better at telling me when he needs something. Hope this information is helpful. And please give a special thank you to my photography assistant! Rather! This was a very amazing submit. Thanks for the furnished info. I’m chuckling as I read this, because it is exactly the opposite of my organizational scheme… I was required to keep a single binder with all my subjects in it in middle school, and it was a disaster – stuff was always getting lost, jumbled, and put into the wrong sections accidentally. Plus I hated having to 3-hole punch so many things, and would conveniently forget to do so until there was a massive build-up. 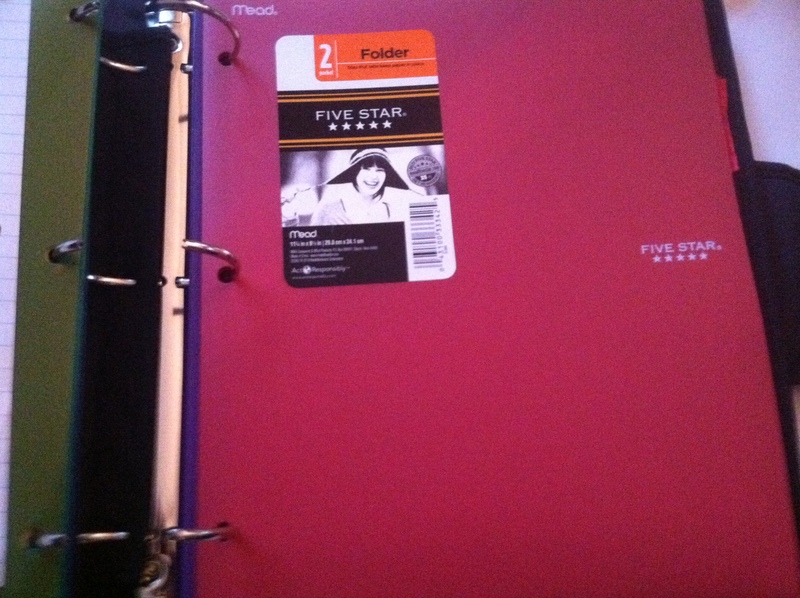 Some of my teachers even joked that my binder was a black hole. I now use separate folders and 1-subject notebooks for each subject, which works really well for me. Different things for different people. Caseit.com is so happy to play any role in helping your son. Please keep us informed on his progess and how we can help further.